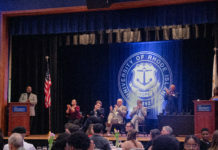 Builders working on the Butterfield Dining Hall project have violated dripline regulations set by the University of Rhode Island Facilities Department, according to Assistant Director of Facilities Sheleen Clarke. 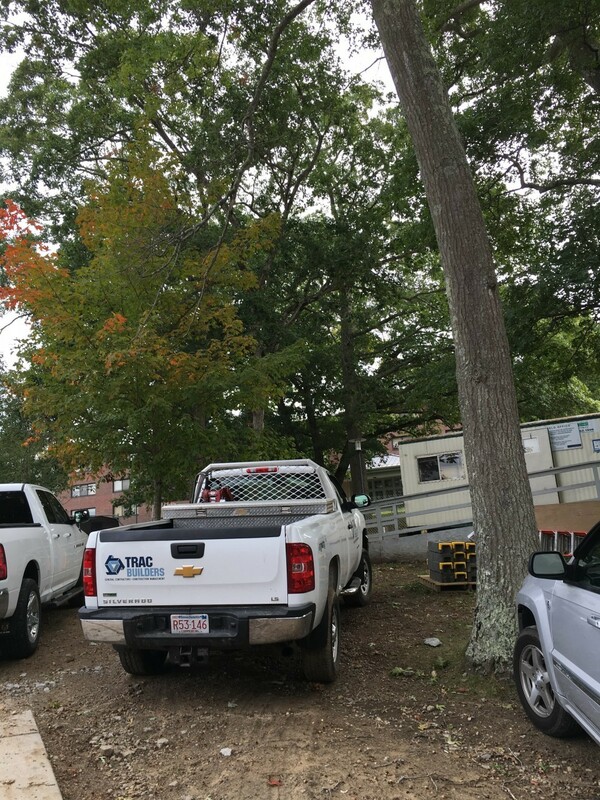 The builders are suffocating tree roots by parking their trucks and trailers within the dripline, which can lead to “dropped limbs, and interrupts the root feeding the tree,” said Scott Ahern, the University Arborist. If their actions do not change soon, the University is at risk of losing several trees and foliage in the area. The dripline regulations extend from the furthest point of the treeline to the roots, Clarke said, and are meant to protect the trees. Facilities set up these regulations with the building company to protect the trees and the area. In these guidelines, contractors are supposed to set up fencing around the dripline to prevent any cars, trailers or heavy building materials from being underneath the dripline. Additionally, builders are supposed to use the parking lots on Flagg Road to keep trucks and other large vehicles out of the dripline. University arborists have worked closely with facilities to show that there has already been deterioration to the outer branches, which, Ahern said, will only get worse. It’s a slow decline, he added, but said that root deterioration over time could cause the trees to collapse. Clarke said she has sent many emails and pictures showing the violations to the building company and to the Project Manager Jenny Baccari, but has seen no change in the locations of the trucks. According to Ahern, these violations have been occurring since the project’s inception a year ago. In response to this, Baccari said she has “informed contractors to remove all vehicles just as instructed” several times. She said she has administered parking passes for the Flagg Road location, and has passed along Clarke’s emails to the building site supervisor. As of Wednesday morning, the trucks were still within the dripline violations. When prompted, Baccari said the builders “must be reminded a little more often.” By 3 p.m. Wednesday afternoon, the trucks were removed from the site. From a University standpoint, Director of Capital Projects Paul DePace said that the University will take action at the end of the project if there are no changes. De Pace explained that the university holds a percentage of cost with contractors until the end of the project. “At that time, we will assess any damage or shortcomings,” De Pace said. In the meantime, De Pace said that he will continue the vigilance of moving the cars out and in the end, if there is damage, they will back charge the contractor for such damage. Bill Tracy, the owner of TRAC Builders Inc. of Providence, which is the building company on the Butterfield project admits his team could have done a better job of respecting the driplines within the space that the project provides. He acknowledged that URI facilities is just doing their job. In the future, Tracy said his team will do their best to respect the dripline, and apologized for those violations.